Speeding increases the chances of fatal car accidents occurring. The maximum speed limit allowed in any area is not decided randomly. It is determined after elaborate discussions between traffic officials, politicians, and law enforcement authorities. 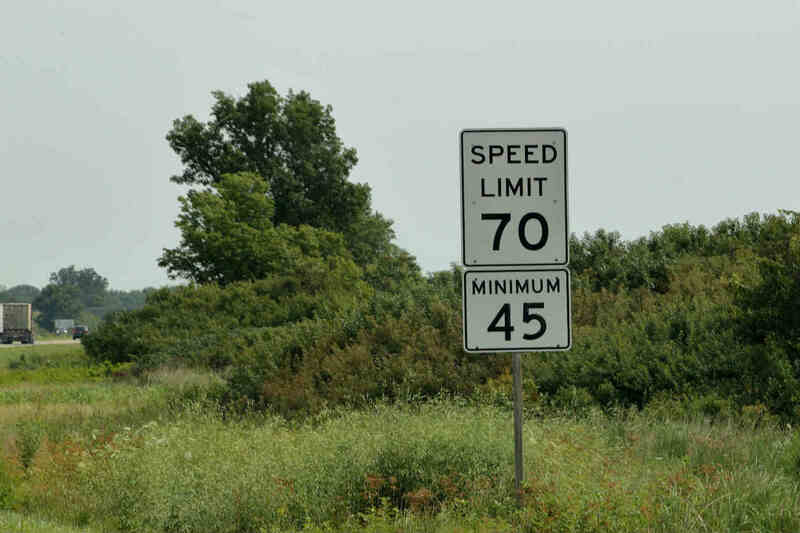 In Missouri, the speed limits are fixed on the basis of the type of road. St. Louis drivers are supposed to follow the maximum speed limits set for different areas. Rural Freeways – On highways and rural freeways drivers are often allowed to drive at a maximum speed of 70 mph. These areas are scarcely populated, and fast moving vehicles do not pose any danger to the inhabitants. Urban Freeways – These freeways are located in the heart of the city which is densely populated. The roads are crowded and it is often not safe to drive at high speeds. So the speed limit in the area is 65 mph. Divided Roads – There are roads with a concrete median or a buffer zone which separates the two sides of a highway. Such roads are known as divided roads. The maximum speed allowed on them is generally 65 or 70 mph. Residential Areas – It is absolutely necessary to move slowly in the residential areas. The majority of people live in these areas, and there are more chances of accidents due to fast-moving vehicles. Therefore, the maximum limit is set at 40 mph. More caution is observed in school zones, pedestrian areas, and construction zones where the speed limits are reduced further. Moreover, the speed limits on the roads in these areas are strictly implemented. The speed limit for a particular road is indicated by a road sign. If a driver exceeds the specified limit or disregards the speed limit instructions for a certain type of road, he may be given a speeding ticket or may receive points on his driver’s license. His license may be suspended, or in extreme cases when the offense is committed repeatedly, the driver may have their driving privileges revoked. Speeding increases the chances for the occurrence of accidents which can cause fatal injuries. So it is the duty of drivers to care for the safety of the people and drive in an appropriate manner. If an accident occurs due to a driver’s negligence, he is accountable for the injuries and damages. There are certain circumstances in which the speed limits are not applicable. For instance, when the condition of the road is bad or the weather is rough, drivers are expected to slow down. If they drive very fast in hazardous conditions, when there is rain or snow on the road, drivers are liable to be penalized at a higher rate. Involved in a St. Louis car accident with a speeding vehicle? In case you are injured in some auto accident which is caused due to a speeding vehicle, you have the right to claim compensation for not only the medical costs, and loss of income, but possibly your pain and suffering as well. Speak to a St. Louis car accident lawyer to learn more about your rights. Call (314) 361-4242 for a free case evaluation.